Be a LOVE WARRIOR! 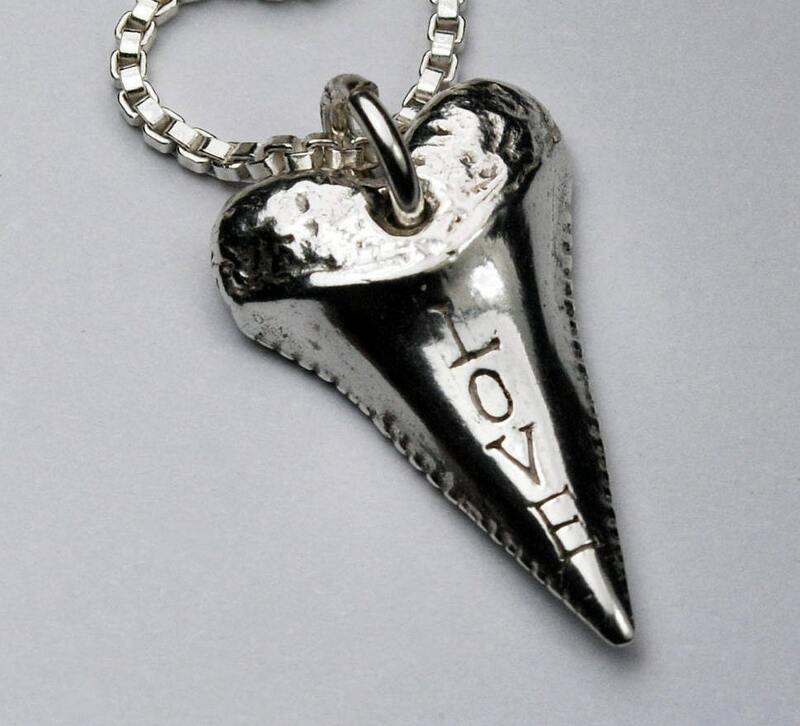 Solid Sterling Silver shark tooth with the magic word incised down it's front and hung on a Sterling Silver Venetian box chain. 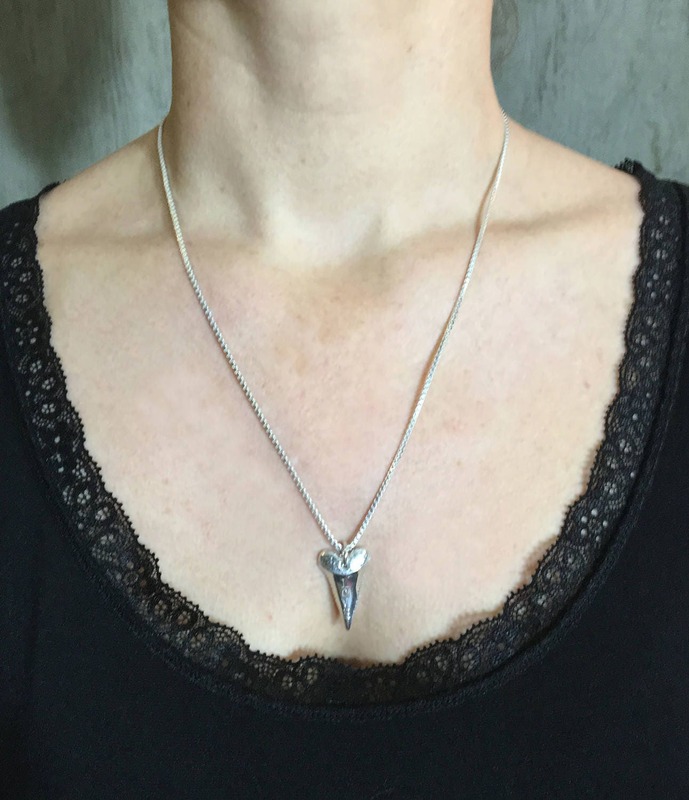 Available in white silver or partially oxidized. 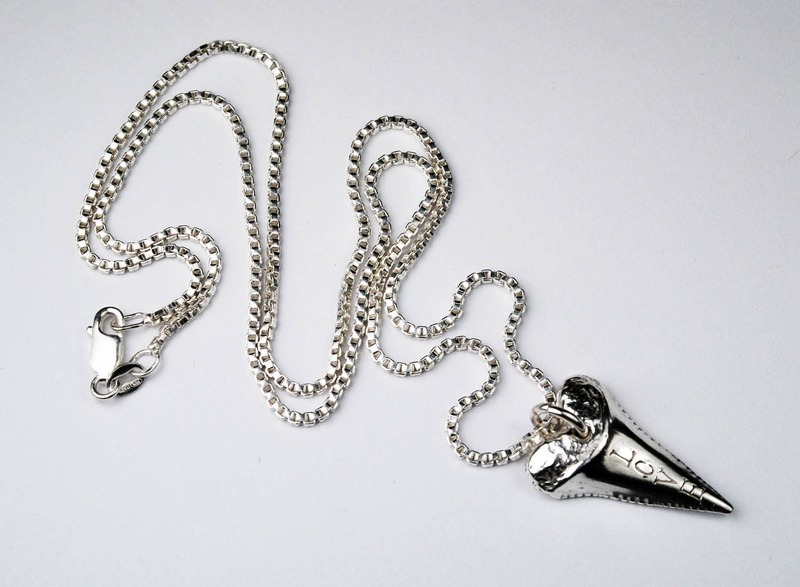 The tooth measures approximately 2.5 cm high x 1.6 cm wide and the chain is 50.8 cm (20"). 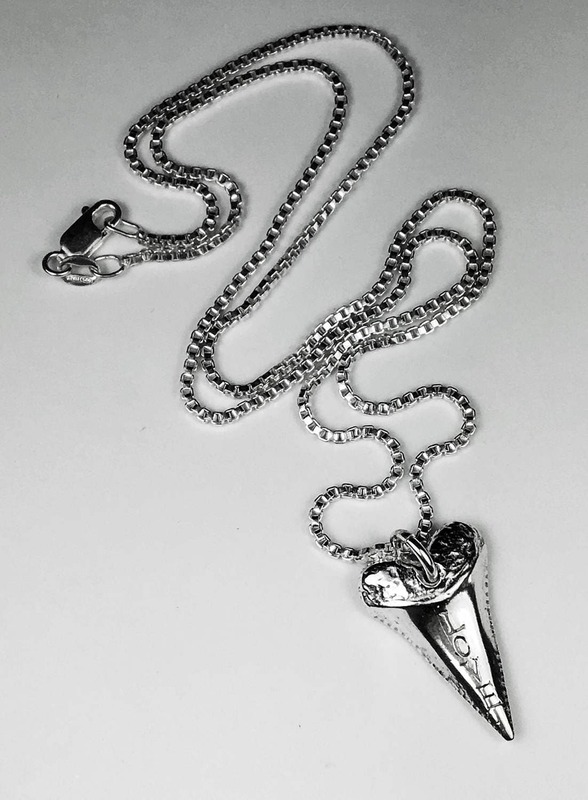 Tooth is also available on it's own without chain-with jump ring only. 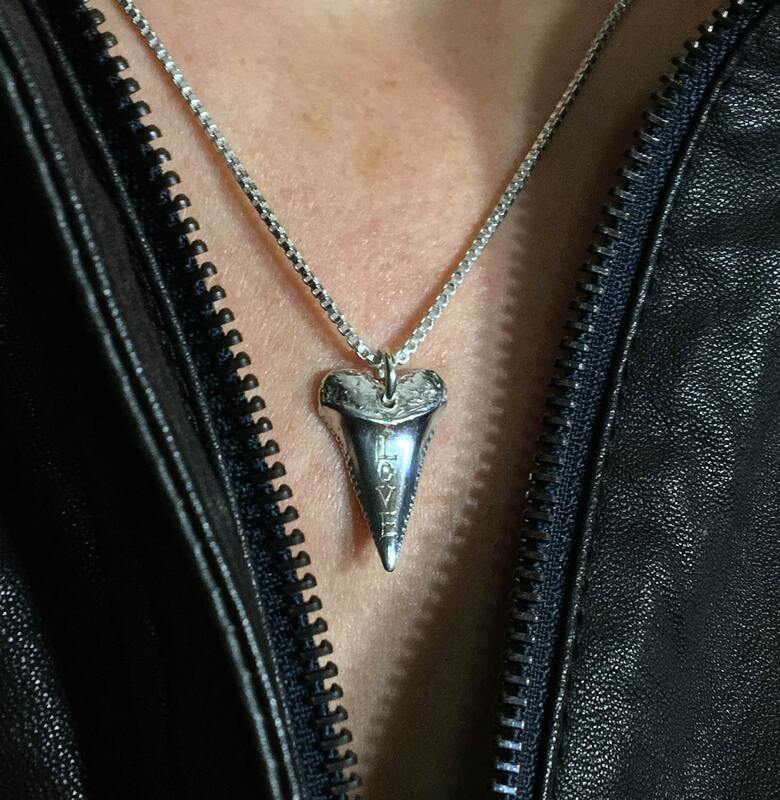 I love this pendant so awesome! !